Senate Majority Leader Sharon Nelson emailed the following statement announcing her retirement from the legislature. Colleagues, first of all, I want to thank you for an incredible 2018 session. We accomplished so much — and truly, we worked to make sure we were putting people first — whether through equal pay for equal work, breakfast after the bell, helping workers at Hanford, finally enacting the Washington Voting Rights Act and the other parts of our Access to Democracy package, doing more work to combat homelessness, providing progress in juvenile justice reform, and putting in place the final piece of funding for our commitment to our schools — as you know, the list goes on and one. 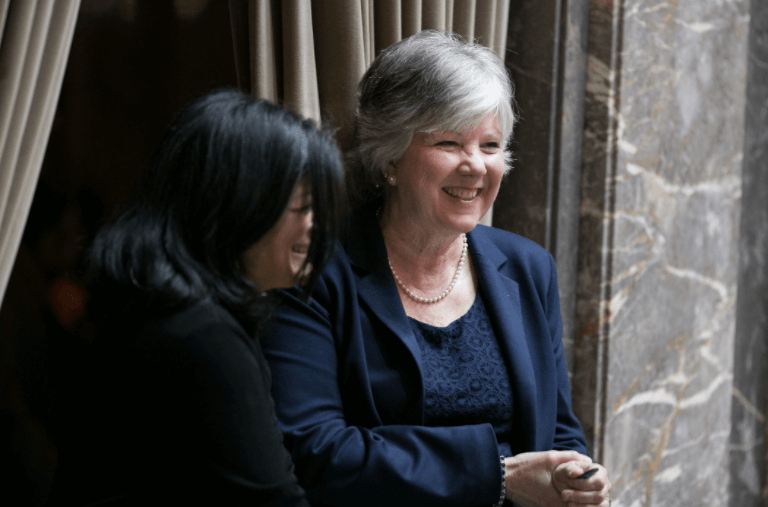 Five years ago, when I became leader, my goals were to build a strong caucus and to retake the majority and to show what that majority meant to the State of Washington. Because of each of you, my goals have been achieved. I want to thank each of you for the privilege of selecting me as Democratic Leader. Thus, it is time for me to return next year to being a wife, mother, grandmother and daughter (yes, my mother is 89 and still a big part of our family). Simply said, I am not running for re-election to the Senate and looking forward to time with my family while all of you are in session next year! During the week of November 12th, after the election results are available and you have knowledge of whom will be joining the caucus, there will be a meeting to commence reorganization and election of your new leader. We also expect committee days to be that week. So please hold the week of November 12th for an exciting time to prepare for 2019. Thank you all for your support and work.